"Stuff doesn't need to change the world just to be good." While many 2o-something-year-olds are just finding their way in the world, young Elon Musk was already looking for ways to change it way back in 1995 (when he was that age). In a well-known 2015 discussion with Neil deGrasse Tyson for the physicist’s StarTalk Radio podcast, Musk lists the five things he thought would most affect the future of humanity (the internet, sustainable energy, space exploration, artificial intelligence, and rewriting human genetics). Just 25 years later, and he has already impacted three of the five areas he identified way back in the nineties. To that end, in the below video, he dives into the largest problems that we need to tackle today, and which could have the biggest impact on the future. As part of an interview with Y Combinator for its “How to Build the Future” series, Musk was asked to reflect on that same concept — the things that could have the biggest impact on the future — so that today’s young people can think about how to innovate in those fields. While Musk identifies such high-concept, high-tech areas as genetic reprograming, increasing the bandwidth interface of the brain, and artificial intelligence as being ripe for innovation, he encourages today’s youth to think both big and small. 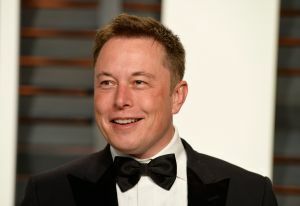 “Even if you don’t have a revolutionary idea, that doesn’t mean your contribution to society can’t be worthwhile,” Musk asserts in the interview. So whether you’re thinking up a new Instagram filter or trying to find a cure for Alzheimer’s, know that Elon Musk has your back. Forecasting the Future: Can The Hive Mind Let Us Predict the Future?